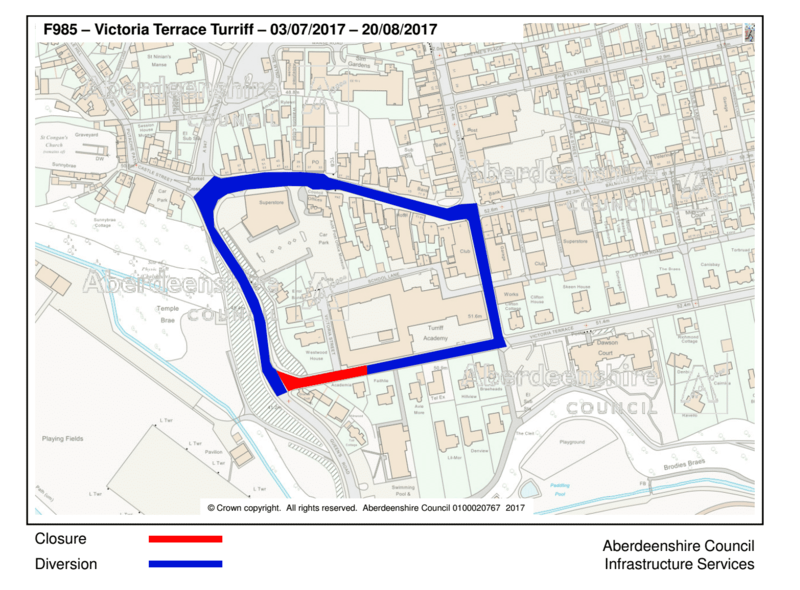 Victoria Terrace in Turriff will be closed to vehicles for seven weeks from Monday 3 July until Sunday 20 August. The closure from the junction with Queen’s Road to outside ‘Faithlie’ is to allow for a replacement gas main to be installed. Pedestrian access will not be affected. The closure will be lifted between 29 July and 1 August for Turriff Show. The local diversion is Queen’s Road to High Street and along Schoolhill and vice-versa.